Carpet entrance mats with vinyl backing. Absorbs up to 5L water per m². Stops the spread of dirt, dust and moisture. Easily cleaned, vacuumed or shampooed. Mottled effect in a range of colours. Keeping an entrance clean and tidy is highly important whether you're at work or at home, as it gives the first impression of your premises. Getting something to prevent mess from being brought in by footwear is important and reduces the amount of cleaning that will have to be performed overall. 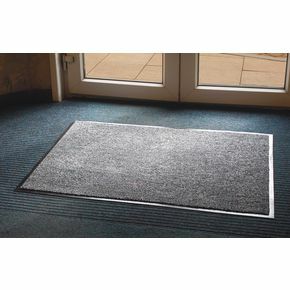 Our dust arrest mats will stop the spread of shoe borne dirt, dust and moisture, helping to stop your entrances from becoming dirty with muck brought in by footwear. They are easily cleaned, vacuumed or shampooed making them ideal to clean during normal cleaning routines. 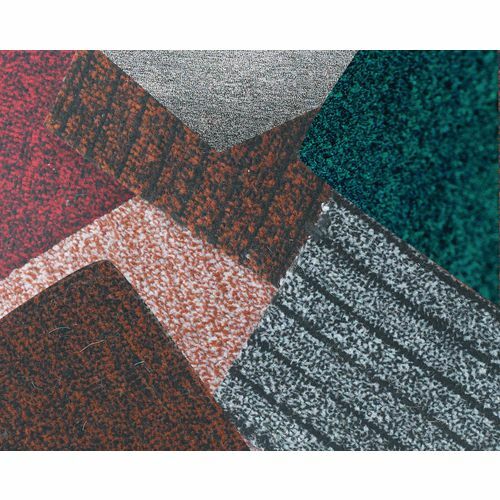 These are carpet entrance mats with vinyl backing and they come as mottle effect in a range of colours; black/white, brown/black or green/dark green. They are also available in a choice of five widths; 600, 850, 900, 1150 or 1200mm and a choice of five lengths; 900, 1200, 1500, 1800 or 2400mm. Our dust arrester mats are a great solution to preventing dirt from footwear getting into your premises; they are available with a 12 month guarantee and FREE UK Delivery.